"require_once(vcl/vcl.inc.php) [function.require-once]: HPH00681 failed to open stream: EDC5129I No such file or directory"
We find no "vcl" directory in the download. Can you tell us what we are missing? the index.php, and index.xml.php are not used, we forgot to remove from the zip file. You can just remove them and call the index.php file instead. As you're using the Eval version, remember to upload the loader to your server (you can find the link to download them at the install.txt file), and then add it as one php extension. Please, do not hesitate to contact us if you still having problems. Hi - don't know what you mean by "the index.php, and index.xml.php are not used, we forgot to remove from the zip file. You can just remove them and call the index.php file instead.". Did you mean to say "...call the index.html file instead"? streamfoundry wrote: Hi - don't know what you mean by "the index.php, and index.xml.php are not used, we forgot to remove from the zip file. You can just remove them and call the index.php file instead.". Did you mean to say "...call the index.html file instead"? Yes, Pep meant that you can delete safely that two php files and call the index.html instead. streamfoundry wrote: Also - I downloaded the phpexpress-2.0 loaders and I don't see one we could use for z/OS Unix System Services. I guess a couple questions are in order now - has "TeeChart for PHP" been testing on a z/Linux platform? If so, what phpexpress loader is available to use? We're running PHP Ver 5.2.11.dev on Apache 2.2.3. Yes, I've made a test in a fresh install of Ubuntu 9.10 the last week and I've found some problems with GD library but I managed to run it by recompiling the PHP following this instructions. What we haven't tried is in 64 bits. 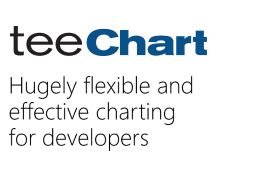 The example error as follows: "file /srv/www/cms41/teechart/sources/TChart.php requires Php Express loader to be installed by the web site administrator." I asked NuSphere for it (http://forum.nusphere.com/viewtopic.php?p=25414#25414) but haven't gotten a response yet. Hello Steema support: Any luck in finding a PhpExpress loader for Apache on z/Linux? Again - I'm running SUSE on z/Linux (SLES10) and Apache can't load the extension for the version of PhpExpress loader I guessed at during startup (see previous post for error message). Prior to purchasing TeeChart for PHP, I need to evaluate it on our environment. Excuse us for the delay. We are not very familiar to linux as we don't usually use it. "file /var/www/TeeChartForPHP/sources/TChart.php requires Php Express loader to be installed by the web site administrator." - At line 508: extension_dir = "/var/www/extensions/"
Yeray - I see what you're saying about your Ubuntu install, but I don't think it's relevant to the problem I've got - which is the fact that I can't enable a PhpExpress loader. All those /sources/ php scripts (including the Y2009.php you tested on Ubuntu with) are encoded with NuSphere's Nu-Coder product and thus HAVE to be decoded with NuSphere's PHPExpress. You HAVE to have a loader enabled on Ubuntu or you would have gotten the same error I did ("file /srv/www/cms41/teechart/sources/TChart.php requires Php Express loader to be installed by the web site administrator." ) trying to run your example code . That error text is coded right into all your encoded scripts by Nu-Coder. 1st order of business in running ANY of your PHP scripts is to be able to decode it! Then, we can address any logic errors that might come up. "ELF file data encoding not big-endian in Unknown on line 0"
This makes sense because our platform is a "z" (mainframe) platform - not x86. I need a PhpExpress loader that is compatible with a z/Linux platform. As I indicated earlier, I opened a forum topic with NuSphere ( http://forum.nusphere.com/viewtopic.php?t=6645 ) - but so far it's being ignored. If you have ANY influence with Nusphere, please help me out. I've just updated the instructions above. streamfoundry wrote: You HAVE to have a loader enabled on Ubuntu or you would have gotten the same error I did ("file /srv/www/cms41/teechart/sources/TChart.php requires Php Express loader to be installed by the web site administrator." ) trying to run your example code . Anyway, we'll try to contact to nusphere people and see if they can give us more information about your environment. Interesting, Yeray - that you got the same error I did originally, saying that TChart.php needed the PhpExpress loader. You installed one and apparently got by that error because you then got a later error in GraphicsGD.php. Yet, after recompiling PHP for enabling GD support, you disabled the loader and didn't get the original error back? Pretty strange. Do you have a copy of the resulting php.ini extension statements? You sure the extension=phpexpress-php-5.2.so statement isn't still in there? In any event, I'd like to follow your install exactly so I still need a z-platform PhpExpress loader before I can go any further. If/when NuSphere can get me one that will load, I'll then address the GD enabling if we find I need to. Let me know what they say. Thanks, Yeray. streamfoundry wrote: Interesting, Yeray - that you got the same error I did originally, saying that TChart.php needed the PhpExpress loader. You installed one and apparently got by that error because you then got a later error in GraphicsGD.php. Yes. Excuse me if I confused you. As I had to disable the loaders at the end of the process, I thought I could skip that in my "installing instructions". streamfoundry wrote: Yet, after recompiling PHP for enabling GD support, you disabled the loader and didn't get the original error back? Pretty strange. streamfoundry wrote: Do you have a copy of the resulting php.ini extension statements? streamfoundry wrote: You sure the extension=phpexpress-php-5.2.so statement isn't still in there? After loading them in the beginning of the process, I could see them enabled running the phpinfo function. streamfoundry wrote: In any event, I'd like to follow your install exactly so I still need a z-platform PhpExpress loader before I can go any further. Yes, I'll try to clarify any step in my installation you could find problems with. Also, I can try to upload the vmware virtual machine where I have the "working" ubuntu, if you want to take a look at it. streamfoundry wrote: If/when NuSphere can get me one that will load, I'll then address the GD enabling if we find I need to. Let me know what they say. Of course. I hope they'll answer asap.